The Atlantic Collection is the perfect match for any home. All of these sets are hand crafted from high quality resin wicker with aluminum frames and are held together with galvanized hardware. With our great workmanship and strong materials, we ensure sturdiness and longevity for this elegant collection. We use Durawood which is an environmentally friendly material that is built to last a lifetime. 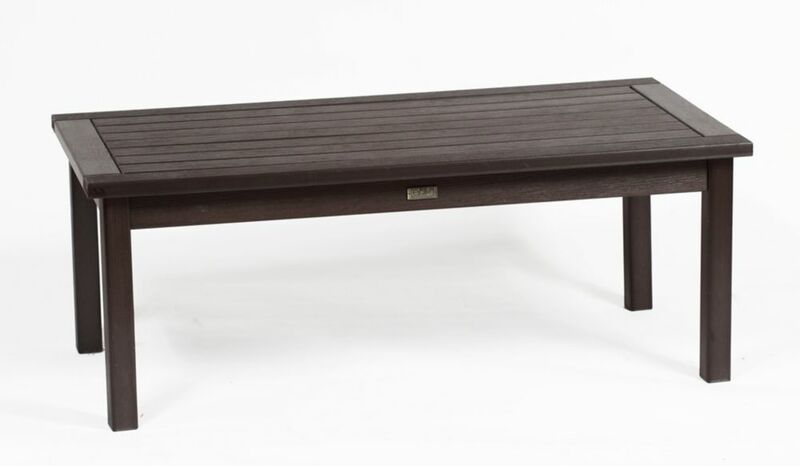 Deep Seating Rectangular Patio Coffee Table in Espresso The Eon Deep Seating Collection truly delivers lasting natural beauty. Crafted from an innovative all-season resin that boasts incredible fading and weathering performance, Eon's premium products maintain their beautiful, natural wood-like appearance over their very long lives.. Eon technology eliminates the frustrations associated with sanding, staining and painting. Eon is one of the finest alternatives to wood available on the market today. This beautiful Deep Seating collection is comfortable and durable and designed for easy assembly. To further compliment these beautiful chairs, Eon also offers a matching side table, a variety of coffee and conversation tables and ottoman. Available in 3 amazing finishes: Teak, Espresso and White. Our cushions are made from genuine Sunbrella fabric in our own factory and are specifically designed for extraordinary comfort and beauty.